Generally speaking, to be earnest means to be sincere and serious. When one prays with earnestness, he prays showing deep sincerity or seriousness; thus, he is determined, fervent and intense in his prayers. And we could say that the reason one prays with such seriousness is because he finds that the need is so great and that prayer is so important, that it is the only way to find the answer or to satisfy the need. Now when you have a longing, a craving, and a yearning to satisfy a need, that is the desire of prayer. It is what God puts in you. But if you want that desire to be fulfilled you must follow up that desire by praying with earnestness. For when you pray with earnestness, what you are doing is you are putting that desire to work; you are putting a fire under it so that it doesn’t go out. And so, with all your desires you must pray and seek God earnestly. For desire without earnestness will die; and your prayers be ineffective. Therefore, we begin our prayers with desire but we must follow them up with earnestness, which is effort, and work, and striving. Accordingly, just as desire in prayer is the spark (of the Holy Spirit) that lights the fire of earnestness, earnestness (which is the Holy Spirit at work in us) keeps desire burning to produce more earnestness, which, eventually, in God’s time, will bring the answer to our prayers. We will turn now to the scriptures in order to make sure that our understanding of earnestness is correct. Here are five Greek and Hebrew words (with some examples), that will help us to understand this topic of earnestness in prayer. 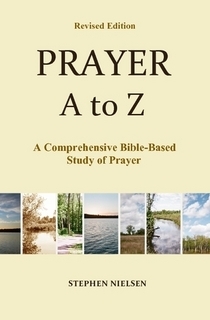 This entry was posted in Earnestness in Prayer, Prayer A to Z Excerpts and tagged agonizomai, desire in prayer, effective fervent prayer, eklenesteron, ektenos, energeo. Bookmark the permalink.